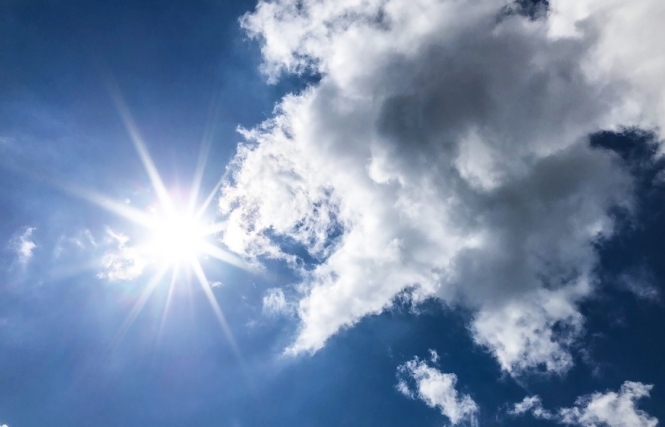 France continues to swelter under a blazing sun - and there will be little respite in the days to come, national forecaster Météo-France warned, as it maintained orange heatwave alerts in 34 departments, mainly in the south and east of France. Forecasters warned temperatures in the south could pass 40C in places on Thursday, after recording early-morning temperatures of more than 25C in parts of the south. At 5am on Thursday, the temperature in Perpignan was still 28C. It was 27.5C in Nice, 25C in Orange and Nîmes, 24.7C in Montpellier, and 20C in Strasbourg. By the end of the week, only the far northwest of France would see daytime temperatures remain below 35C. The Health Ministry has warned holidaymakers to ensure they are prepared for the extreme heat, especially those travelling long distances on the crossover weekend, advising families to set off early in the morning or later in the evening if possible to avoid the hottest parts of the day, take plenty of water and take regular breaks. In an interview with radio station France Inter, Health Minister Agnès Buzyn said on Thursday morning: "It is imperative to drive earlier in the morning or late in the evening, avoid periods of extreme heat, protect children. Take enough water in the cars, stop regularly." Forecasters described the current heatwave as "remarkable". France has not experienced nationwide high temperatures like this for a sustained period since 2006, experts told Franceinfo. They expect no break in the current conditions until early next week. 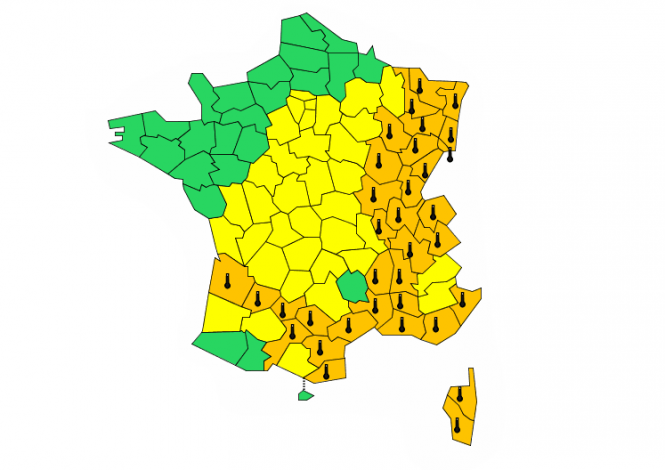 The 34 departments on orange heatwave alert in Meteo France's 6am bulletin were: Ain, Doubs, Haute-Garonne, Gironde, Jura, Lot-et-Garonne, Haute-Marne, Meurthe-et-Moselle, Moselle, Haute-Saône, Savoie, Haute-Savoie, Tarn, Tarn-et-Garonne, Vosges, Alpes-Maritimes, Ardèche, Aude, Bouches-du-Rhône, Corse-du-Sud, Haute-Corse, Côte-d'Or, Drôme, Gard, Hérault, Isère, Pyrénées-Orientales, Bas-Rhin, Haut-Rhin, Rhône, Saône-et-Loire, Var, Vaucluse and Territoire-de-Belfort.